The pear shape diamond was created by Lodewyk van Berquem in the 1400s; it was due to this cut that diamonds started being used in jewelry. The pear shape cut diamond resembles a tear drop, explaining why it is sometimes referred to as the ‘teardrop cut’. 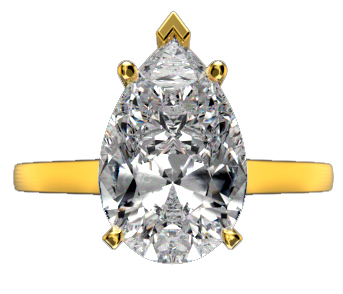 The pear is a mix between a round brilliant and a marquise cut; with one round end and a point at the opposite side. Pear diamonds are another antique fancy cut, utilized for centuries. Their shape makes them look as pretty on a ring or bracelet as swaying from an earring or pendant. Courtesy of advances in promoting brilliance, modern pear cuts shine more strongly than older ones. As their name indicates, pears are narrow at one end and rounded on the other. Its body is made of a point, shoulders and wings. Pear diamonds are cut into a brilliant style, promoting play of light. A well-made pear cut diamond needs to be symmetrical, with its long sides matching each other in curves a straight lines. The shoulders and wings should be gently rounded, and the stone should have a ratio between 1.50-1.75:1. In terms of shine, a pear cut diamond should have as small of a bow tie shaped shadow as possible. 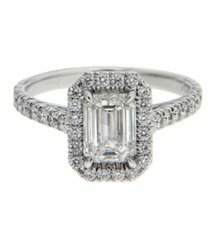 After finding the pear cut diamond of your dreams, there’s the question of how it should be mounted. Make sure that the tip is covered to prevent chipping, with a V shaped prong if possible. Recommended ways to wear a pear diamond is with the point facing your fingertip if it’s mounted on a ring, or as the ring’s shoulders. Suspending the jewel from its tip end is a popular way to have it hang from earrings, pendants and necklaces. One notable pear diamond used as a pendant is the Taylor-Burton diamond. Named after its most famous owners, Elizabeth Taylor and Richard Burton, this 68 carat pear shaped jewel hung from the bottom of a diamond necklace as it accompanied Elizabeth Taylor to the 1970 Academy Awards. It originally was a 69.42 carat pear diamond mounted on a ring, but Elizabeth Taylor had trouble wearing the stone on her hand and commissioned a diamond necklace to be worthy of the pear. She also had it re-cut to shine all the more. There is much to admire about pear cut diamonds. 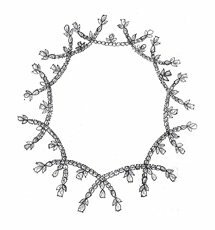 Their shape makes them versatile mounts, as suitable for a necklace as they are from brooches or rings. They’re pretty when of a modest size and when they’re enormous. Pear cut diamonds also have a well-deserved long history of beauty. Pear cut diamonds are rounded at one end and pointed at the other, inspiring their name. They’re categorized as a modified brilliant, as they’re designed to reflect light as beautifully as possible. Though pear cut diamonds date to the 1400s, their brightness wasn’t developed until the 18th century. 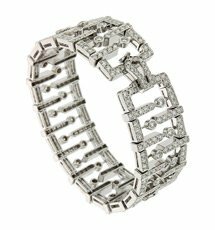 Their shape is said to use the best qualities of both round and marquise diamonds. The best pear cut diamonds focus on symmetry, with the left and right sides no larger or curvier than the other. Its length to width ratio should be between 1.5:1 and 1.75:1. The shoulders of the diamond, the edges near the rounded end, should be gently curved while the round end is best as a semicircle. A pear cut diamond’s wings, the edges near the point, should also be subtly rounded. A bowtie shaped shadow may appear within the jewel. Pear cut diamonds have been popular for centuries as hanging elements for pieces such earrings, pendants and necklaces, usually suspended from the point. 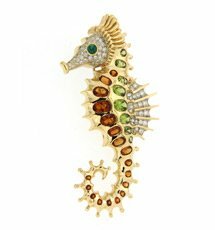 They are also used to flank other jewels, sitting on either side of a central stone on a ring or brooch. For those who want an unusual look, pear cut diamonds serve the role of central or solitaire jewels quite well. If wearing a pear cut diamond on a solitaire ring, it’s recommended to wear it with the point aimed towards the fingertip for a slimming effect. Pear cut diamonds are versatile enough to be worn however its owner desires.